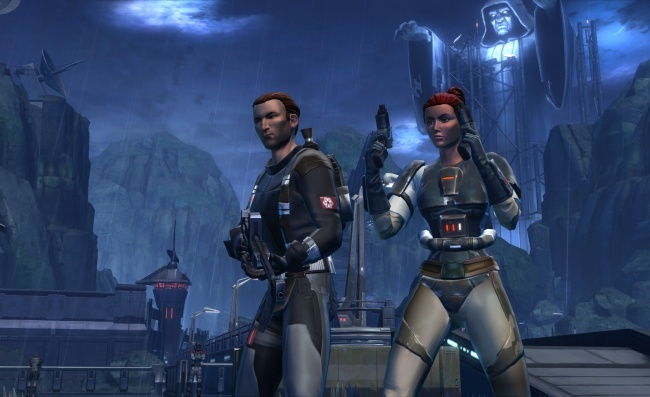 Mac users may soon be able to join fight between the Jedi and Sith in BioWare's Star Wars MMORPG. In a recent interview with Joystiq, BioWare label leads Greg Zeschuk and Ray Muzyka both hinted that Mac users may soon be able to fly off to a galaxy far, far away and join the million plus gamers already battling it out in Star Wars: The Old Republic. "We know there's a big Mac audience of BioWare fans." Muzyka said, when asked about BioWare's plans for after the release of The Old Republic. "We know that's an important and large audience. And we want to serve that audience." In the past, BioWare has ported over previous titles of its games to the Mac, including its previous Star Wars title Knights of the Old Republic and most recently Dragon Age: Origins. With several other major MMOs such as World of Warcraft and Eve Online already sporting versions for both PC and Mac platforms, it would be a smart move for BioWare to try to be as inclusive as possible with its latest big project. "That's definitely one of the things we're looking at next." Zeschuck stated about a Mac version of The Old Republic. "We want to get this launch under our belt and everything stabilized and happy, and then we'll look at other platforms, and that's obviously one of the first ones." While no specific release has been set, BioWare's intent to expand the game into that market undoubtly will lead to speculation as to if Mac users will have access to exclusive in-game items such as the iBlaster or iHolocommunicator.